Did You See Our Latest Quarterly Newsletter? 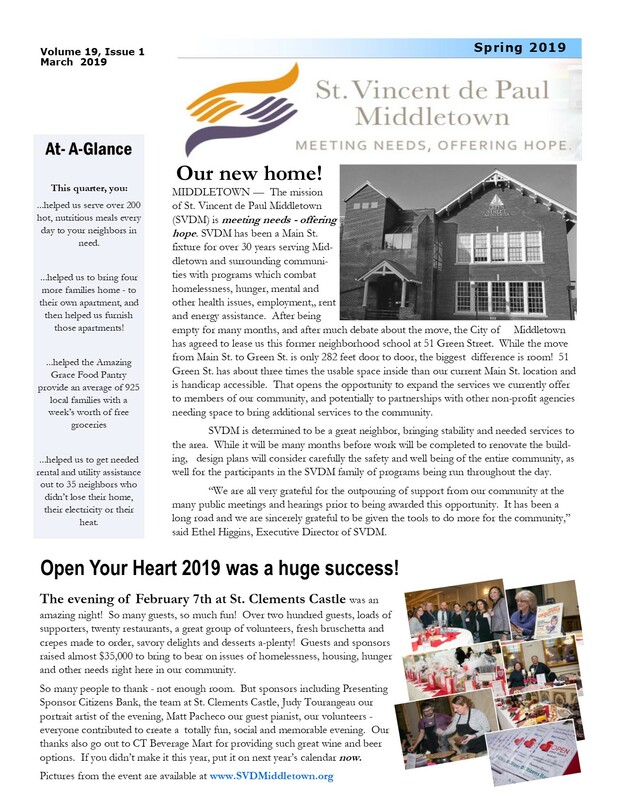 Read all about great neighbors in action and what’s coming up in our first quarterly newsletter of 2019. Learn about our pending move across the street and a brand new fun, family-friendly Walk in the Park at Veteran’s Park on May 5th. You can help raise support for area nonprofits in Middletown and have a healthy, affordable day with your family and friends. See it below in four packed pages of good news! City Awarded Proposal: We’re Moving to 51 Green Street! Welcome Ethel Higgins, New Executive Director! Farewell to Ron Krom: Poem, Proclamation & Party! Ethel Higgins, to Begin as New Executive Director on Nov. 5th is Already On the Job!